Retailing presents some unique challenges for IT. Endpoints tend to be in fixed positions which has an effect on how staff interact with customers. HP is unveiling a new portfolio of devices and service offerings designed to enhance the retail experience by freeing the technology to move around. The HP Engage portfolio provides sleek, versatile, and secure systems to meet the evolving needs of retail and hospitality customers. The technology will be available through a Device-as-a-Service (DaaS) offering that makes it easier for retailers to acquire, support, and manage the technology they need to drive their business, as well as benefit from analytics and proactive management. 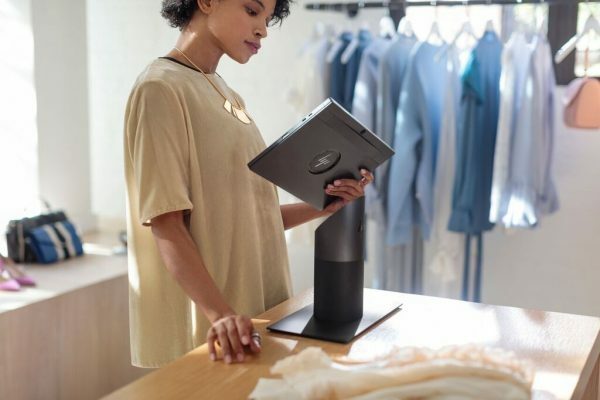 "Retailers have a growing need for technology that enables seamless customer engagement, from the moment they arrive to the time they check out," says Aaron Weiss, vice president and general manager, retail solutions at HP. "Drawing on customer insights and our culture of innovation, the new HP Engage lineup and its availability through HP DaaS are designed to deliver the performance, security, and flexibility businesses need to reinvent in-store experiences and provide enhanced customer service." The HP Engage Go Convertible is a flexible solution combining a tablet with a clever docking design for seamless transitions between fixed and mobile operations. This means sales staff can check inventory on the fly, complete registrations, and close sales, both at the counter or out on the floor. Data protection and security features include a self-healing PC BIOS, a new HP Smart Dock tablet-locking experience to help prevent theft from the dock, and two-factor authentication with an optional integrated fingerprint reader or NFC reader. Powered by 7th Gen Intel Core processors, the HP Engage Go Convertible system stands up to demanding retail or hospitality environments and is designed to pass MIL-STD 810G testing. There are also new back office systems in the form of HP Engage Flex Pro and HP Engage Flex Pro-C. These are modular system platforms with enhanced security that provide retailers greater flexibility to manage their business and offer performance capabilities to handle demanding environments. You can find out more about HP's retail solutions and DaaS on the company's website.